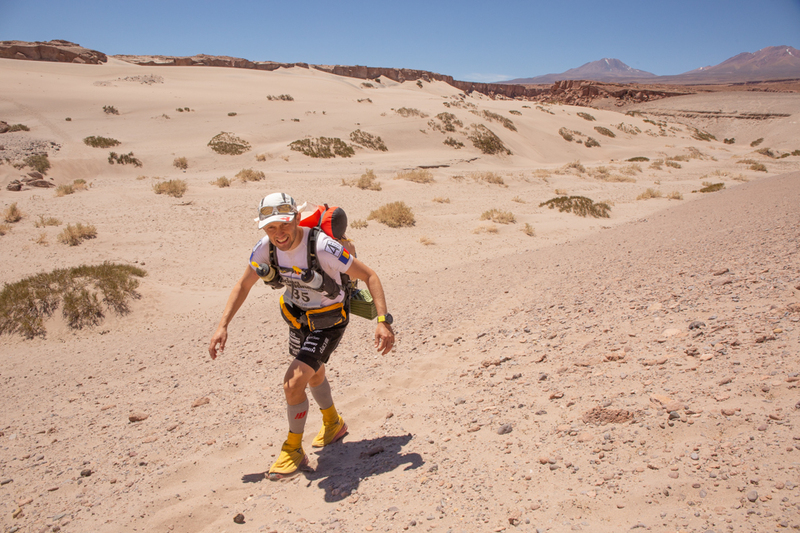 Home » Jurnal de antrenament » CaliVita 7 Deserts » Atacama Crossing – a race closer to the sky! 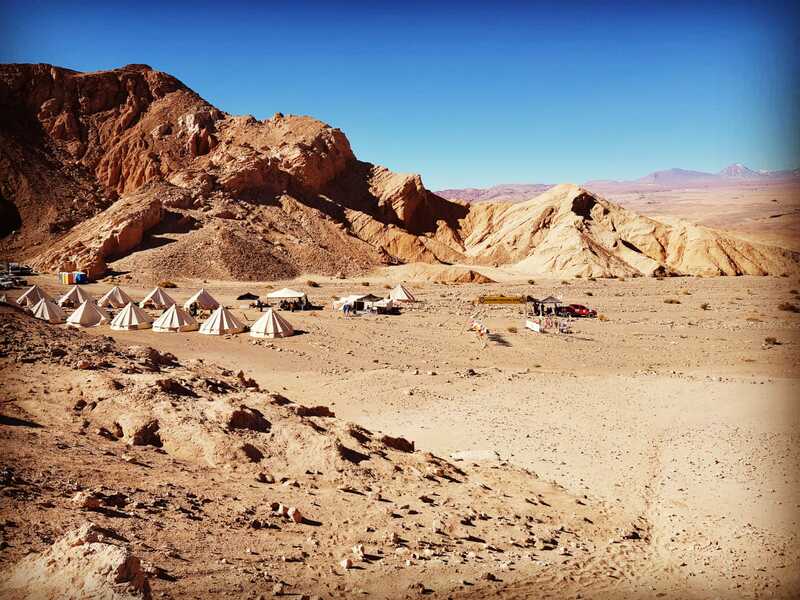 There is so much to say about the South-American adventure that I don’t even know what to start with: the trip, the fairy-tale-like destination, the difficult but amazing race, the people I met and I shared the tent with for a week. All these are like the pieces in a puzzle, whose image and story begins to make sense only when they are all put together. It was an amazing experience, which I have to share with you. Barely three weeks after returning from Iceland, where I competed in the fourth race of CaliVita 7 Deserts circuit, namely Fire&Ice Ultra (you can read the story here), I packed my bags again, this time for Chile, where I was to run again in a 250 km race, in one the driest places on Earth, Atacama desert. The feelings were mixed. On one hand, I was impatient to see what laid ahead, on the other I felt it was way too early to be away from my family again, for two weeks this time. Sara is almost three now and she knows very well what she wants and what she doesn’t, so saying good-bye becomes harder and harder. Speaking of which, when I returned from Chile, after kissing and hugging me for five minutes, she said: “Daddy, I missed you! You won’t leave again, isn’t it?” I looked into her eyes and told her the truth. “My dear, daddy will leave again in one month for Antarctica, but now I’m here, with you and for you”. I packed on auto-pilot. 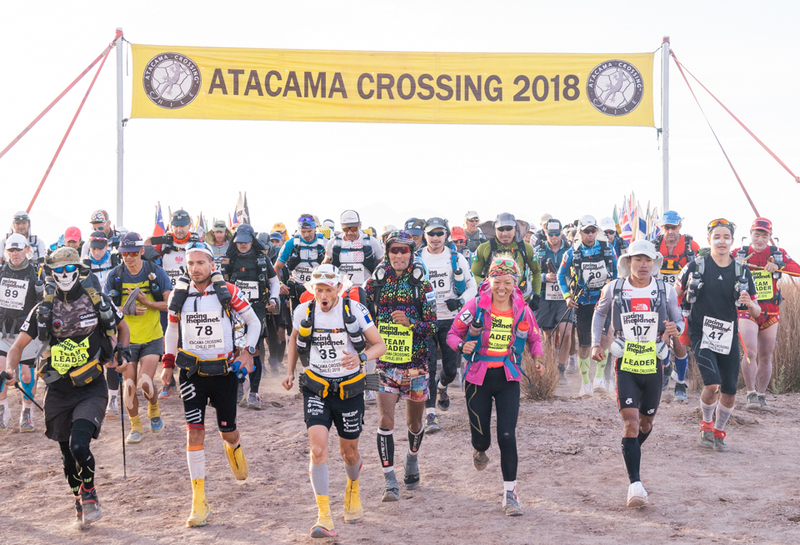 If I also count the two editions of Marathon des Sables, I can tell Atacama Crossing was the seventh multi-stage, self-autonomous race I competed in the last four years. Hence, there is already a sort of routine regarding the logistics behind taking part in a race like this: the running equipment, the change of clothes, the medical kit, the dehydrated food, gels, protein powder for recovery, personal hygiene items, the sleeping bag and many more, they all constitute a backpack you know you’ll run with for a whole week. And this is why you try to make it as light as possible, within the limits set by the race regulation. In my opinion, a light backpack (7-9 kg) means you can also run. 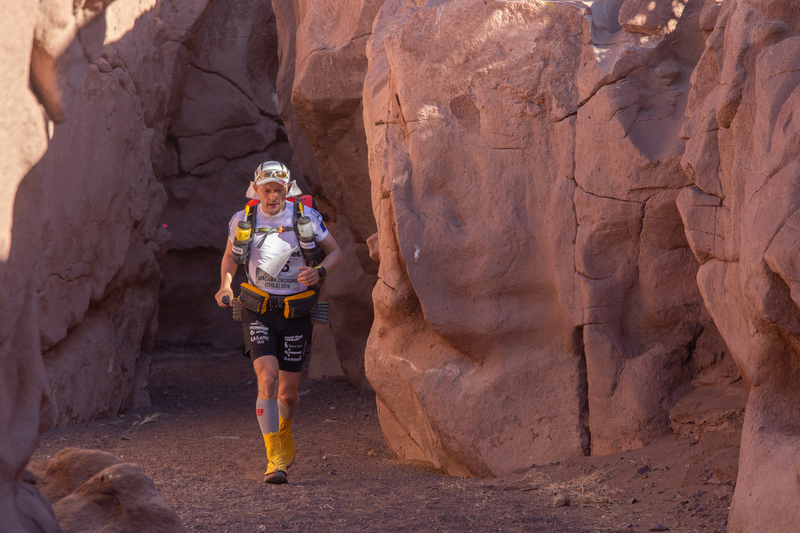 A heavy one (10-14 kg) will make your task difficult enough, if not impossible, and will impede on your running. 5:00 AM. The alarm clock goes off and I feel like sleeping a little bit more, considering I didn’t get too much rest (it happens all the time before a race). I try to be as quiet as possible not to wake everyone in the house up. I manage to slip into the dining room, where my already packed luggage awaits, I gobble a banana and I double check again I got everything I need: passport, plane ticket, credit cards and cash. I kiss my wife, then take a look from the doorway of Sara’s bedroom and leave for the airport keeping in mind the image of peaceful and serene children’s sleep. In the airport, I meet Daniel Nica, a good friend and old “partner in crime”. 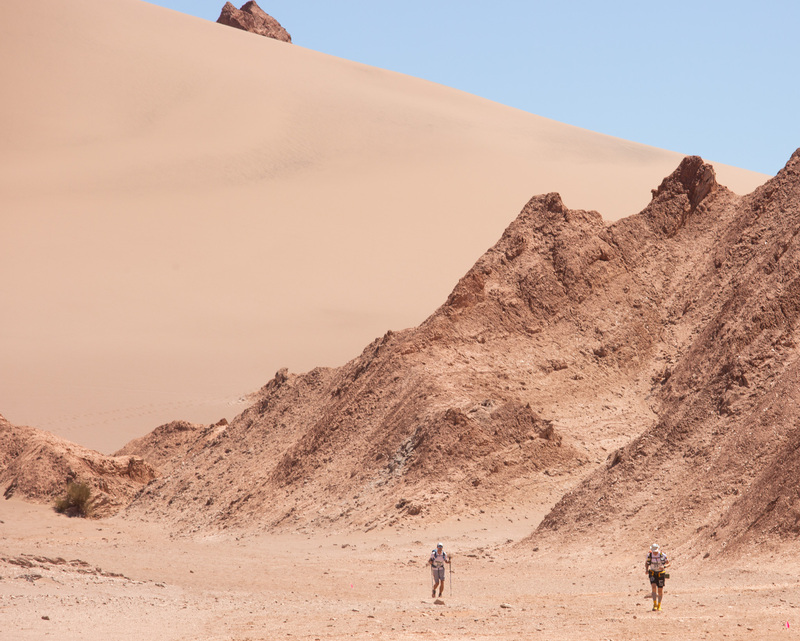 We ran together the Marathon des Sables and, last year, Gobi March (China). An authentic and waggish character from Buzau area, in a nutshell, a hell of a guy. We clear all the checks and check in our baggage. Although not a religious person, I mentally pray for our luggage to reach us at our destination. All the food for the race is there, gels, isotonic, stuff you cannot take in your hand luggage. There were no problems so far, but I don’t even want to imagine what would happen if my luggage would arrive late. 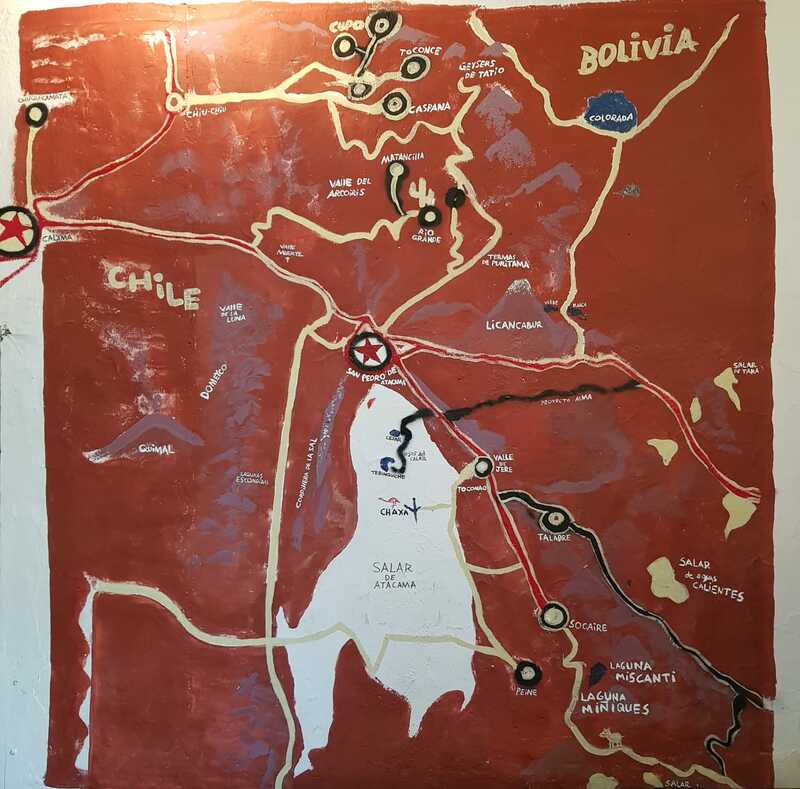 Our itinerary was: Bucharest – Madrid (with a 12 hours break) / Madrid – Santiago de Chile / Santiago de Chile – Calama and then one hour and a half by bus to our final destination, the little town of San Pedro de Atacama, North-West of the country. 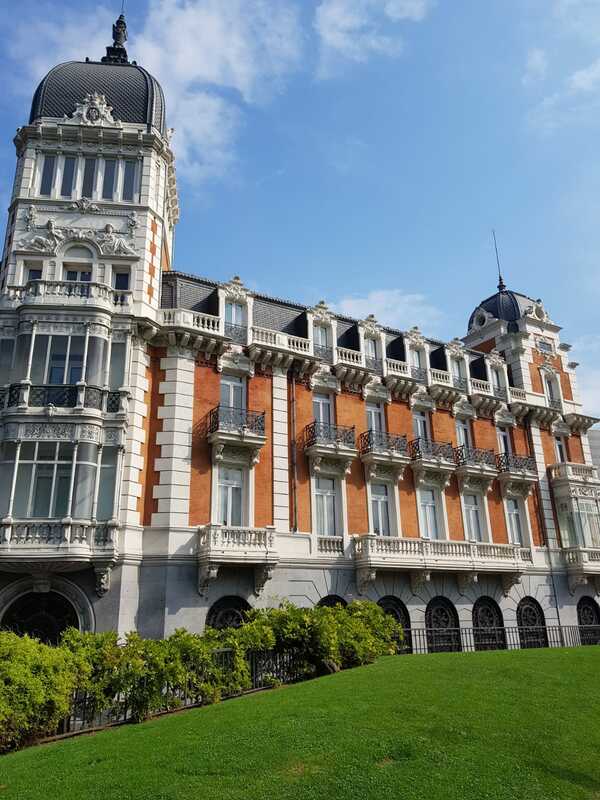 With so much time to kill in Madrid, we decided to visit the town and take a stroll, especially as the weather was nice. Time flew quite quickly, as we walked through markets crowded with tourists, narrow alleys and wide boulevards. As it was almost lunchtime, we stopped in a small restaurant away from the tourist area, which was recommended to us by a local. In most cases (as he also told us) one can find better and cheaper food in non-commercial areas, where locals eat as well. This guy was from Argentina and working for ten years now in Madrid. We gave him credit and indeed, we ate well, cheap and a lot. Aw well, we gorged on regular food while we could, as we were to miss it for a whole week in the desert 🙂 We then strolled a little bit more, listened to a fellow Romanian playing his accordion on the steps of a cathedral, took a cup of coffee, got some massage with Compex on our tired calves and we then rushed back to the airport. It was evening already and the longest section of our flight lay ahead: Madrid – Santiago de Chile, about 14 hours. I cleared all boarding formalities, boarded the plane and started waiting and waiting and then waiting some more. As I checked my watch, I started thinking something was wrong. We were already 15 minutes late, but I thought on many occasions pilots would make up for the lost time, especially on a long flight like this. So, nothing to panic about. Instead, it got extremely cold. I don’t know what their plans were on us, but some cold breeze was coming out of the air vents above the hand luggage compartment, just like in an industrial refrigerator. I put on everything I got, Daniel put his blanket on his head and fell asleep, I believe. Well over an hour later, and we were in the same situation. The announcements coming from the cockpit were quite evasive, so we didn’t know if we were to leave or when. One hour and a half later, we received the news I feared: we won’t depart, due to some engine failure (ok, I guess this is the classical explanation, no matter what the real reason is). Then, we got off the plane and chaos followed. Iberia staff was totally overwhelmed. Their explanations were in Spanish only, but among the 300 passengers there were clearly people who didn’t speak it. No abla Espanol? Tough luck! I managed to find a fellow passenger who translated in English what was about to happen: we were to get out in front of the airport and board some buses headed for a hotel two hours away (! ), then after getting some rest and having breakfast to return to the airport, our flight being rescheduled for 12:30 next day, at lunch time. I didn’t manage to find out what would happen next with my flight from Santiago de Chile to Calama, which I definitely lost. Normally, they were bound to reschedule our connection flights as well, but I didn’t manage to get this information from the Iberia staff. We were already considering the fact that we were to skip one night accommodation in San Pedro as everything would be offset for one day. So we all got out in front of the airport. About 300 people. There, only one bus with 50 seats was waiting. In the scrimmage, I couldn’t get in. We were assured more buses will come. The next one arrived one hour and a half later! During which we queued, not to lose our spot. We left the airport almost at 4AM and we reached our hotel at 6:30AM. Honestly, not even now I could comprehend why the hotel chosen by the airline to cover for situations like this is two hours’ drive away. What I do know is that I got into my room, took a shower, got one hour sleep, had breakfast and then left back for the airport at 9:30AM, as our flight for Santiago took off at 12:30. Both Daniel and I were dead tired not to mention that 24 hours after we left Bucharest, we were still in Madrid! 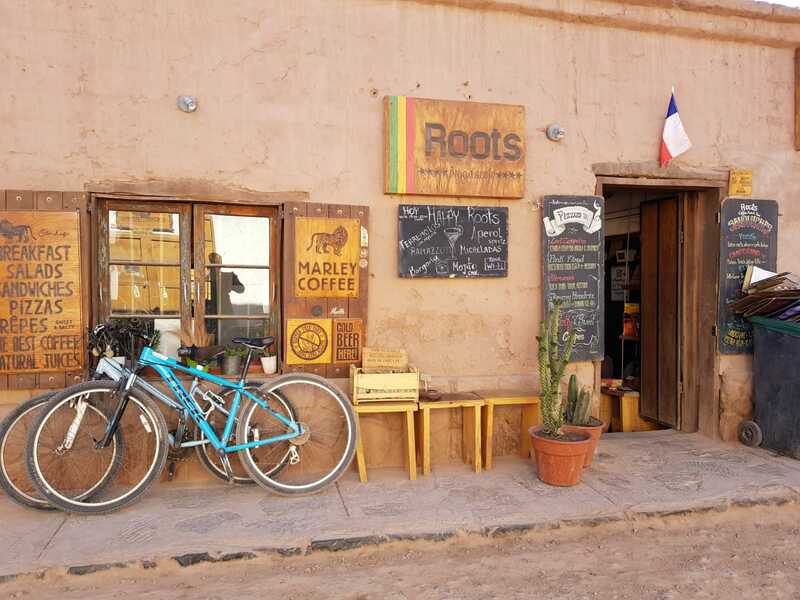 Once at the airport, we learned how things would unwind for us: we were to land in Santiago by midnight and the first flight for Calama was scheduled at 5:30 in the morning. 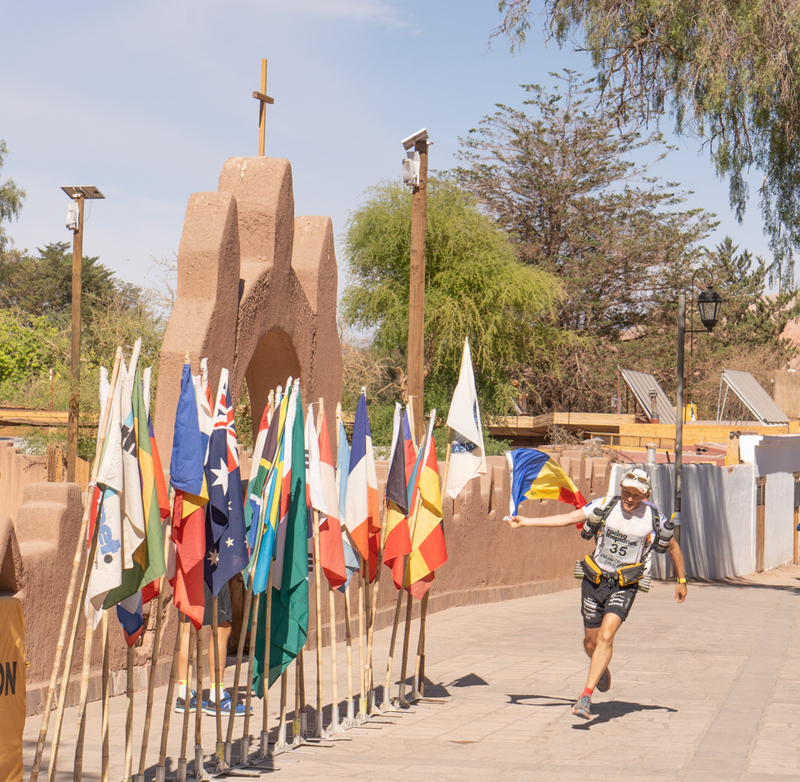 To cut the long story short, we arrived in San Pedro de Atacama at 9 o’clock in the morning, 50 hours after we left Bucharest. Luckily, our luggage arrived on the same flight :)) We went to the hotel booked for us by the organizers, but we could check-in only after 12. So we left our luggage at the reception desk and went out for a coffee. 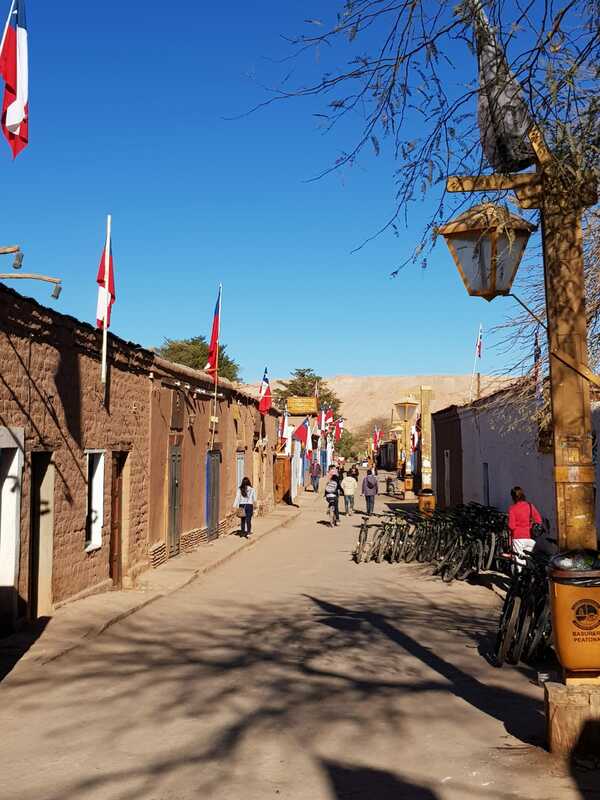 The first impression when arriving in San Pedro de Atacama is that you traveled back in time. The almost 5.000 people town is situated in Chile’s North-West and has a special charm about it. 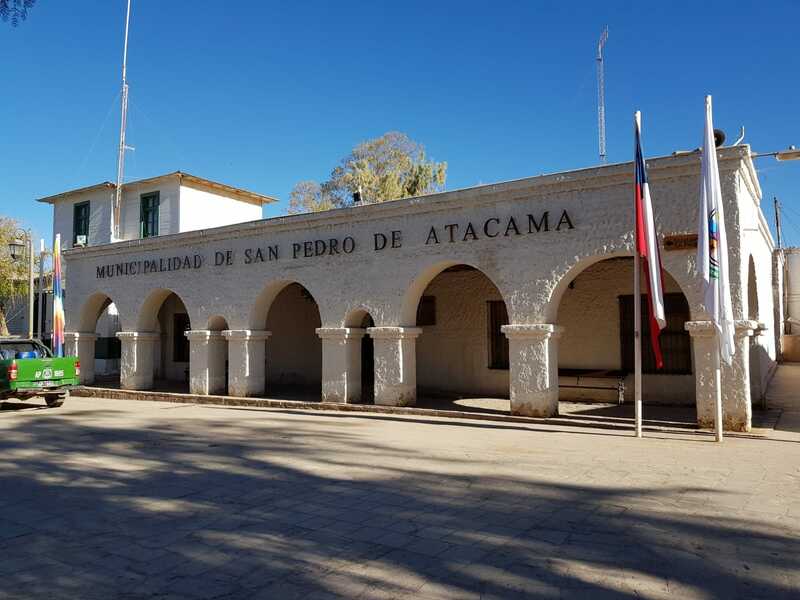 Located 2.300 meters above sea level, in Antofagasta area – one of the driest in all of Chile – San Pedro instantly reminds you of typically South-American provincial towns, with single story houses (rarely, two), narrow streets which were never asphalted and simple towns people with serene faces, polite and always smiling. San Pedro is packed with tourists, due to the fact that it is situated in an area where, even if you’d stay one week, you’d still have plenty to do. 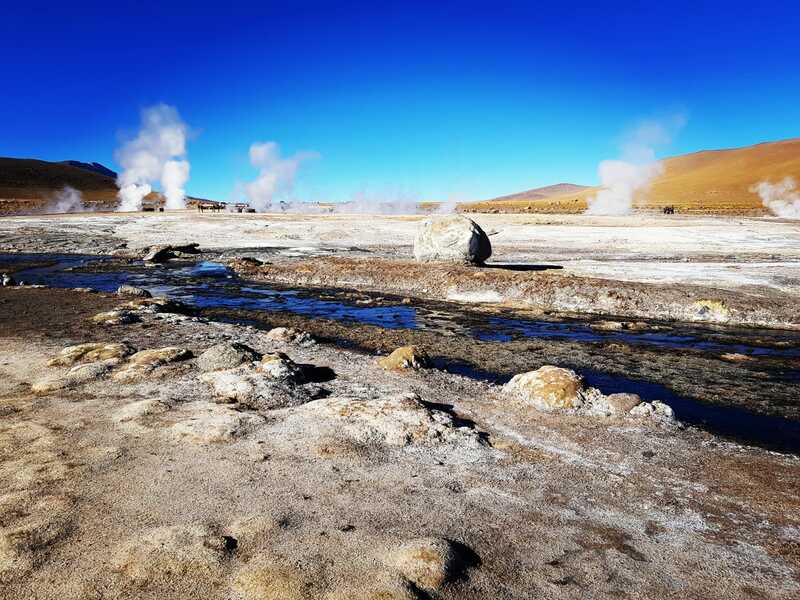 From its 80 geysers in Altiplano Andes (Geyser del Tatio), 4.400 meters above sea level and the flamingo reservations, to the absolutely gorgeous landscapes of Atacama desert (the Moon Valley, the Death Valley), the area has plenty to show, fact well known and used by the locals. The town’s narrow streets are filled with exchange offices and tourist agencies offering one day packages for all tastes. 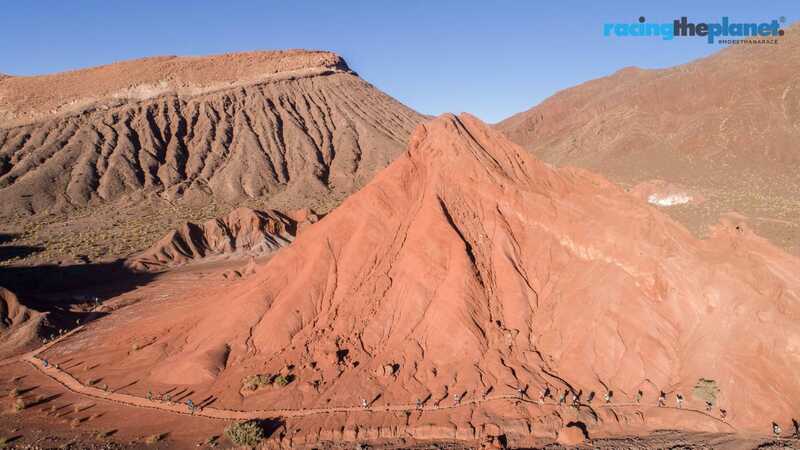 Those who are fitter can hike on Licancabur volcano (5.916 m), located on the border with Bolivia and in which crater there is a 400 square meter lake, one of the highest lakes in the world. One can bike around San Pedro (there are a few rentals in town); jumping ahead, in one of the race stages I noticed a bike rack in an area I didn’t expect that, in the shade of a small canyon. Afterwards, I understood that some tourist agencies did organize this kind of strolls for a group which would depart early in the morning, under the guidance of a man, on a predetermined course. We returned to our hotel to check-in, simply mesmerize by what we saw. We were quite tired but we decide not to nap after lunch, so we could get a good night sleep. 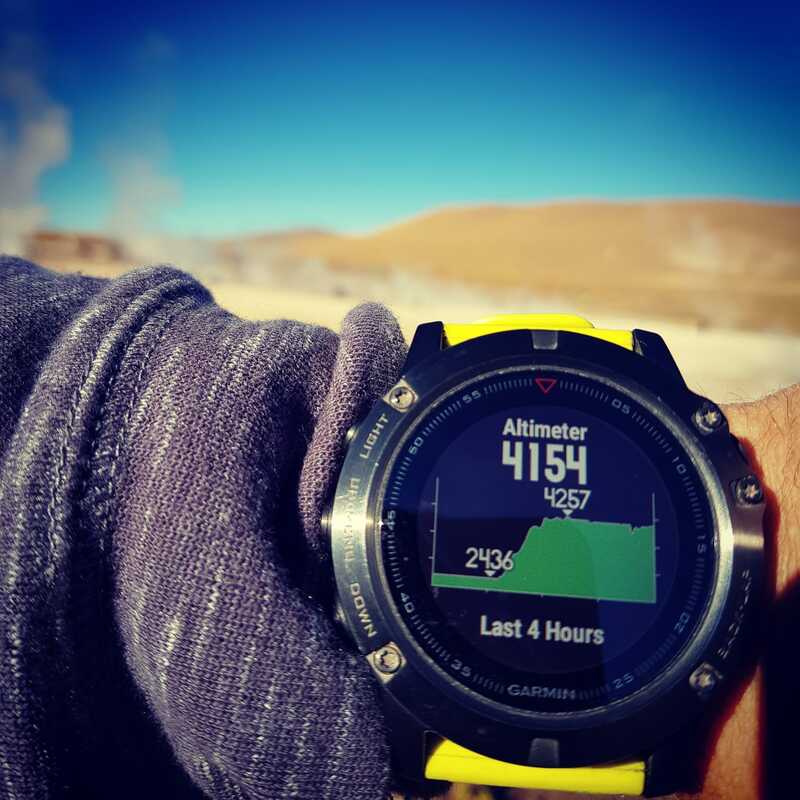 We got no issues yet caused by the high altitude, but breathing was hampered by the extremely dry air. 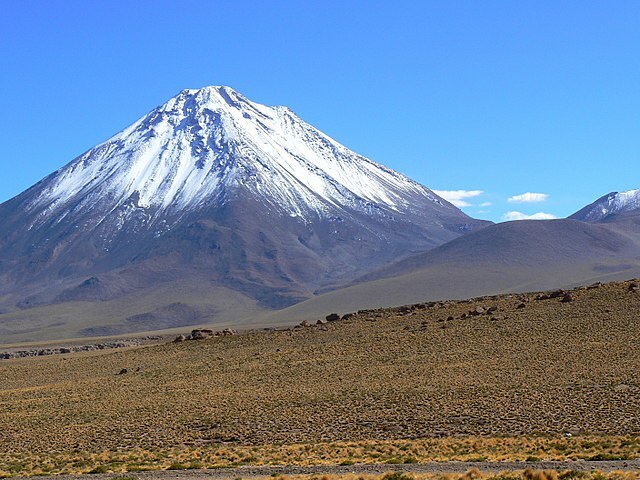 Let us not forget that there are areas in Atacama Desert where it didn’t rain for 500 years, and the precipitations average in this region is 0.761 mm per year! The sensation I got just by trying to breathe was suffocation like. My nose was always stuffy and my throat felt just like after eating all the ice-cream from the fridge at once. This was going to be an interesting week. I did the final equipment checks in my hotel room, as we were soon scheduled to hand over our luggage and keep only the race backpack. Daniel and I departed for the place where organizers awaited so they could check the content of our backpacks. The list of compulsory items is quite large in races like this, and organizers are extremely thorough with their checks, and rightly so. It is for your own good as a participant to have everything you need for the whole week. If you don’t have it or forgot it, you can’t get it from anywhere else and completing the race might become impossible. Despite us runners sometimes wrangling about what we see as exaggerated requests from the organizers, fact is we do realize it is only for our good. Or at least this is how I see it. And I’ll give you an example. 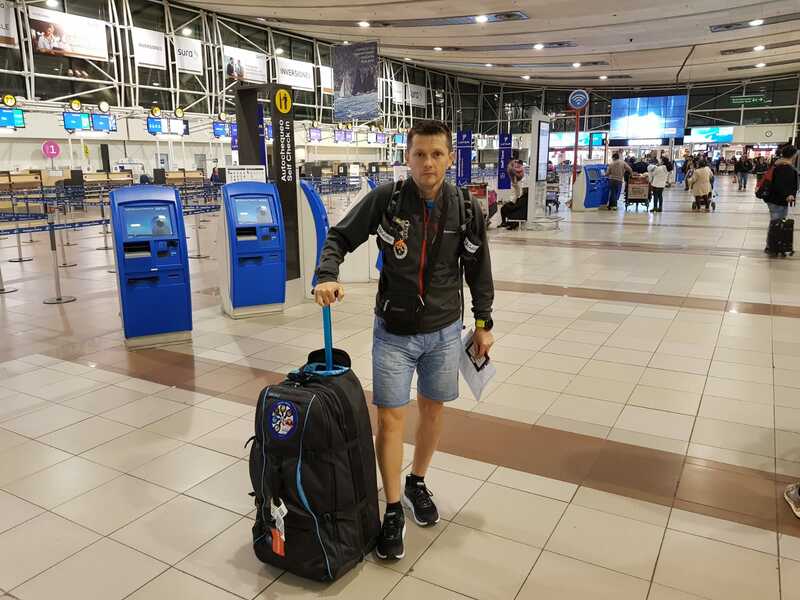 Although I got some experience already in packing my rucksack for a race like this, this time I missed two things, which organizers noticed and had me correct if I wanted not to be penalized (15-30 minutes). For some items (like sunscreen) you get a time penalty but for others (sleeping bag, at least 2.000 kcal/day worth of food, etc.) you aren’t allowed to start. What was wrong in my case? The sunscreen recipient – race regulation pointed out it had to be 60 ml, while mine only contained 40 ml. So I had to go shopping in town for another, of at least 60 ml. Also, race regulation mentioned we had to have 10 disposable alcohol compresses in our medical kit (used to treat blisters or wounds) while I only got 6. I don’t know how I miscount when I left home. So, I had to fix these in order not to be penalized before starting the race. I had to prove it the next morning, at the briefing before leaving for the first base camp. 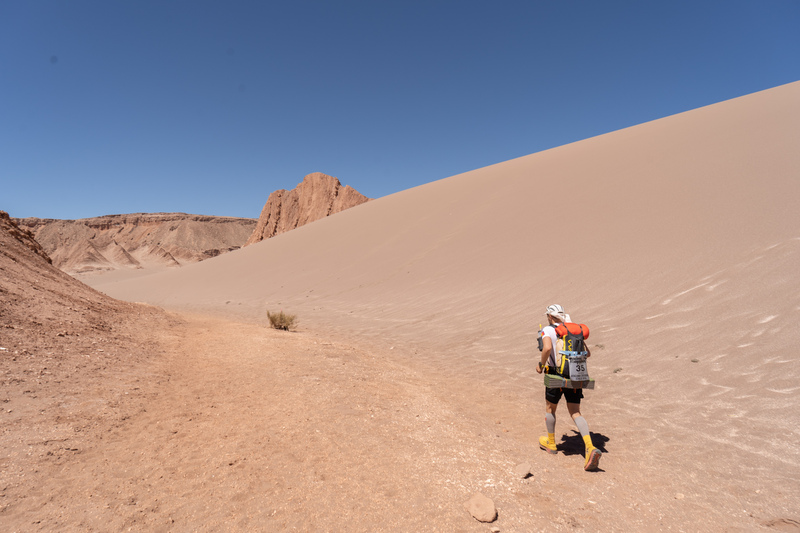 After the briefing, we boarded the buses with only our race backpacks and we left San Pedro de Atacama – but not before having a last drink of Noni juice (a strong antioxidant) – heading for our first base-camp, in the heart of the desert at 3.300 m above sea level. After a drive through spectacular landscapes left and right, we arrived into a small delve, surrounded by mountains, an extremely dry area resembling the landscape of alien planets one can see in NASA photos. For afar, our small, white tents were the only sing of civilization in a beautiful, wild, savage area! We were greeted with traditional music, whose sound echoed throughout the valley, creating a fairy tale-like ambient. 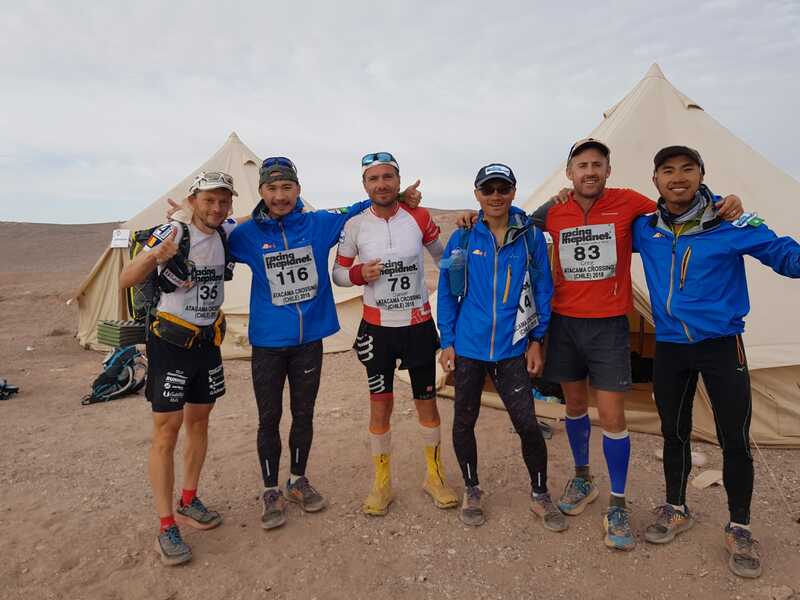 I got into my tent and meet my mates for the whole week: Daniel, who you already know, three very likable runners from Macau, on their first race of this sort, who were getting a massage after each stage, and Greg of New Zealand, a typical kiwi farmer, with plenty of extreme courses under his belt. As we chat, he told us that two years ago he came third in 6633 Ultra, the famous race won by Tibi Useriu three times in a row. I concluded that our madman’s world is small one! We spent the rest of the day socializing, looking for a flat place on the floor where to set our sleeping bags, eating, a routine that will repeat for the whole week, with the only difference that – as days go by and fatigue accumulates – discussions become shorter and to the point as each does his best to recover for the next day stage. 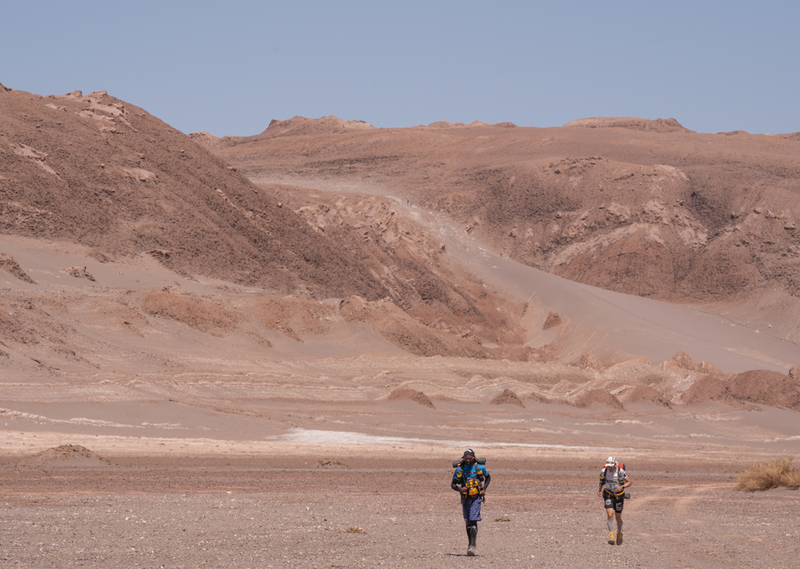 The sun was very hot, reminding us we were at 3.300 m altitude in Atacama Desert, one of the driest places on Earth. Scorching heat gave way to cold as soon as the sun disappeared behind one of the ridges around us, so I had to put on a long sleeve blouse and my jacket. That was a cold night, with temperatures dropping towards 0 degrees. I left Camp 1 at 8 in the morning, with an interesting day awaiting me. The start was in full force and I chased the first two runners for several hundred meters when I realized I was off track. The route had a sharp right but I continued straight, chasing the two. Rookie mistake. Then the hunt began, trying to make up for lost time. Only that we were at 3.200 m altitude and that cost me dearly later on. Today it wasn’t the distance (36 km), nor the terrain nor even the unbearable heat that caused troubles, but the altitude: nausea, dizziness and a general state of exhaustion. I was the 9th runner with only 3 km to go to the end of the stage, when I was caught by 3 other runners. So, only on the 12th place so far, but we have a long week ahead. Not to mention that now we’re at 2.500 m above sea level, and for the second stage we’ll descend some more, so I might feel better. Today’s landscapes were absolutely sensational: narrow canyons, endless plateaus of dried dirt, climbs and descends on sand and the last 6 km ran / walked / crawled on a trade road used by the Inca, where I was able to admire centuries old stone sculptures. Hugs from Camp 2, situated in a location I’m still lost for words to describe. I don’t have great news, but to start on a high, the route today was sensational. 38 km at 2.400 m altitude, which had it all: big sand dunes, never-ending climbs and spectacular descents, gravel, dirt, and – the icing on the cake – starting with km 7, for the next 6 kilometers, we had to cross a river 26 times (I counted) from one bank to the other, most of the times in knee deep waters. After the first two crossings I couldn’t feel my feet, it was that cold. Then we got some sandy areas and I was reckoning, terrified, that sand plus water equal blisters. I was lucky to get away with my toes unharmed. Not so much with my soles, where I miss some skin. But this is not why I told you I don’t really have good news, as I seriously considered withdrawing a few times during the stage. And this is because my body doesn’t seem to manage the altitude and it is clear this is how it is going to be for the whole week, considering that the whole race takes place at over 2.400 m. I never abandoned before, it is not in my character. I’m struggling to run as I planned but my body simply refuses: heavy legs, dizziness, nausea, exhaustion. It is becoming more and clearer that this race will turn from a competitive into a survival one – “God help me reach the finish alive”. I don’t know yet what decision I’ll take this night. I don’t want to rush, but I also do not feel like just strolling through the desert. Today on 14th place. Hugs. 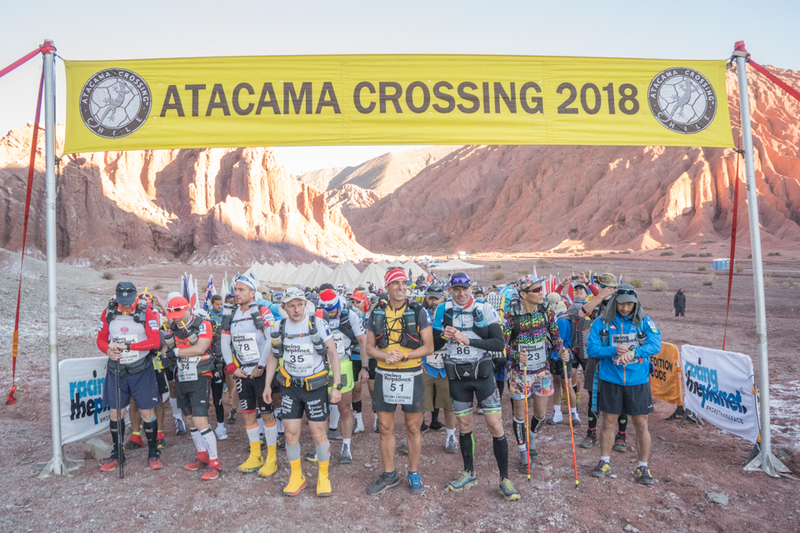 You can choose to be taken back to the base camp of arrival, in this case the town of San Pedro de Atacama, but you’re responsible for covering accommodation and meals up to the end of the race. I came here on a small budget and I couldn’t afford accommodation and meals until Saturday. So today I toed the line for what the organizers call the hardest stage in the race, due to a cross country terrain totally unfit for running and its numerous sandy stretches. Everything at 2.500 m and in full sun. 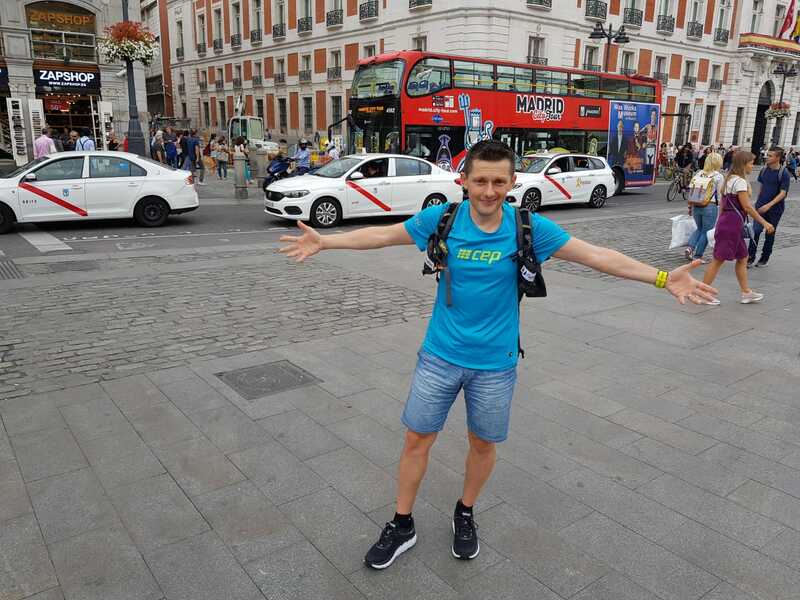 I spare you the details on how I pushed myself and what wonderful feelings I enjoyed in all my body, as you already know that if you read the report on the first two stages. Important fact is I stayed and I’ll do my best until the end, on Saturday. Today I emerged on the 10th place. Hugs. Did it ever happen to you to be in a situation that would require a rational decision but you’d rather listen to that crazy dwarf in your brain inciting you to do the total opposite? And please admit you felt good by listening to it. This is how I am now. 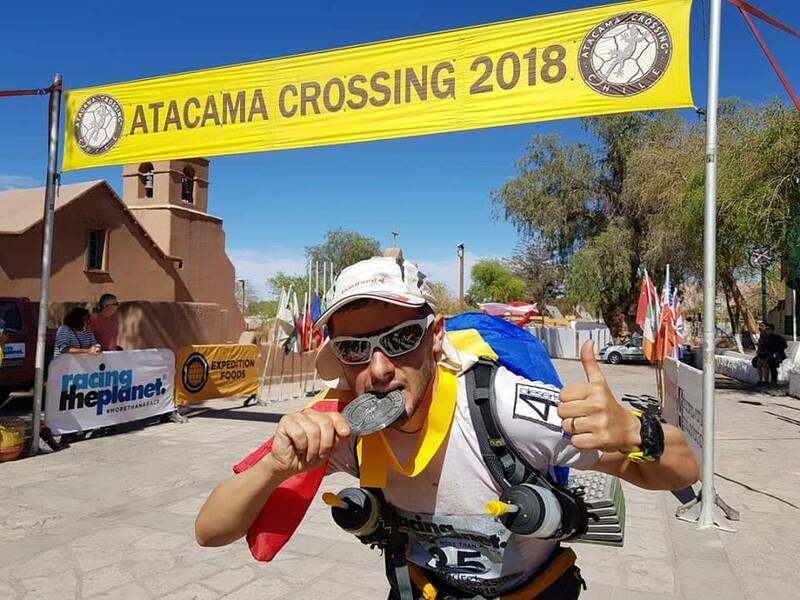 I’m glad I didn’t leave, as it feels like I didn’t suffer that much from altitude sickness, which allowed me for a beautiful race I could say. Probably my body starts to adapt. 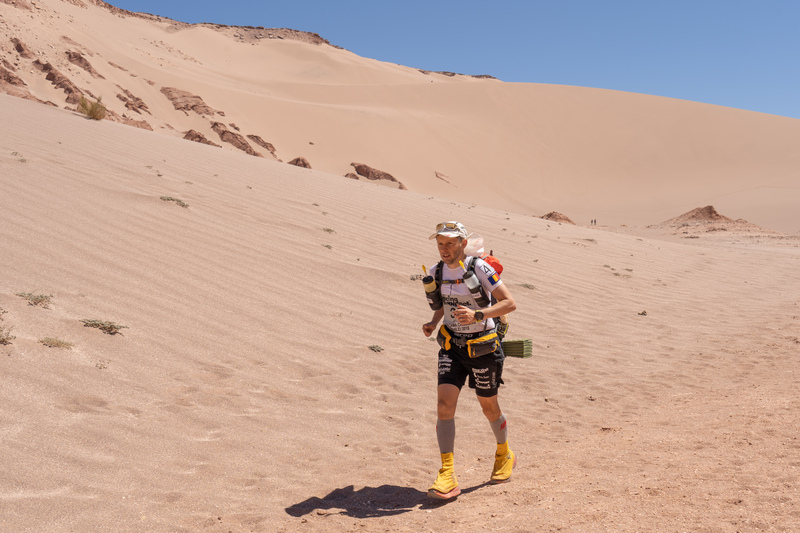 There were 47 quite difficult kilometers, which had it all, like a kebab :)) Big and small dunes, cross-country leg breaking terrain and the icing on the cake, starting around the 28th kilometer, a 10 kilometer stretch of “salt flat”. A flat expense as far as the eye could see where the dry dirt is covered in salt and where the rays of the sun only amplify the heat, as they reflect in the salt layer below. You’re like in an oven, with nowhere to take cover. This was the moment when my backpack front brace broke, the one which holds the water bottles in one place so they don’t jiggle. I had no time for repairs, as I was being hunted by two runners a few hundred meters behind. Aw, I forgot to mention. I came in 10th at CP1, on 6th at CP2 and from there on I did not want to concede my place. So I finished the fourth stage on 6th. I don’t know what position am I on the general table. Casualties: two blisters, one toe nail about to fall and one of my ankles has a funny shape, different from the other, due to its contact with a big rock on a descent. What doesn’t kill us makes us stronger! Tomorrow’s stage is the long one, 80 km. It was the most excruciating and – in places – transcendental experience I ever got since I started running. The route was in its entirely above 2.500 meters, with varied terrain and outer world’s landscapes, and with a sun that burns from the moment it rises until it goes down, given the altitude. And nowhere to hide, not one patch of shade. I left in the morning thinking “be it whatever it will be”, as my ankle turned over night from purple to black. It didn’t hurt too much, but you’ll never know what might go wrong in 80 km. There were some three blisters more and a toenail about to fall, but I’m used with these. I didn’t go to have my ankle checked at the medical tent, as I feared not being allowed to start. So I started in force, happy my ankle didn’t hurt and I reached CP1 in 6th, after 14.5 km. 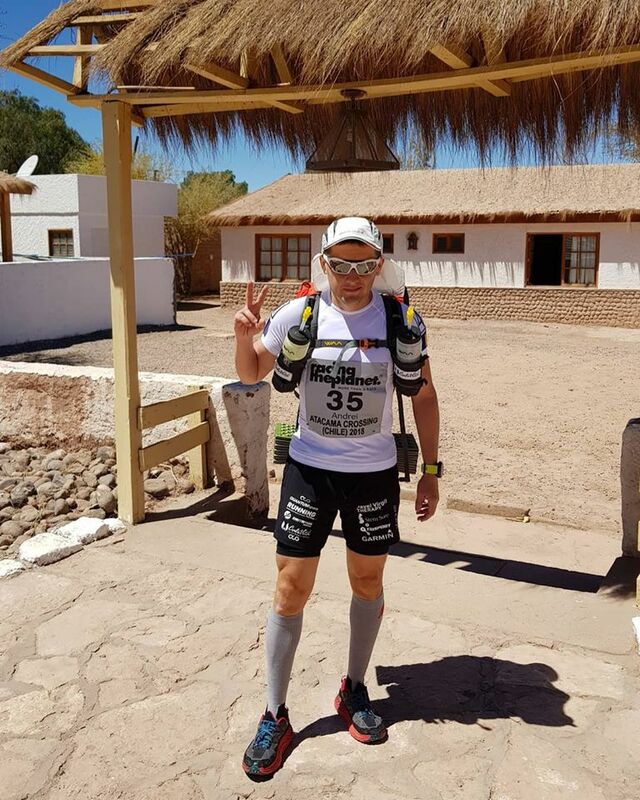 In principle everything went well until the 35th kilometer, when I got caught by 4 runners, but I thought it is a long day ahead and I’ll run my own race. 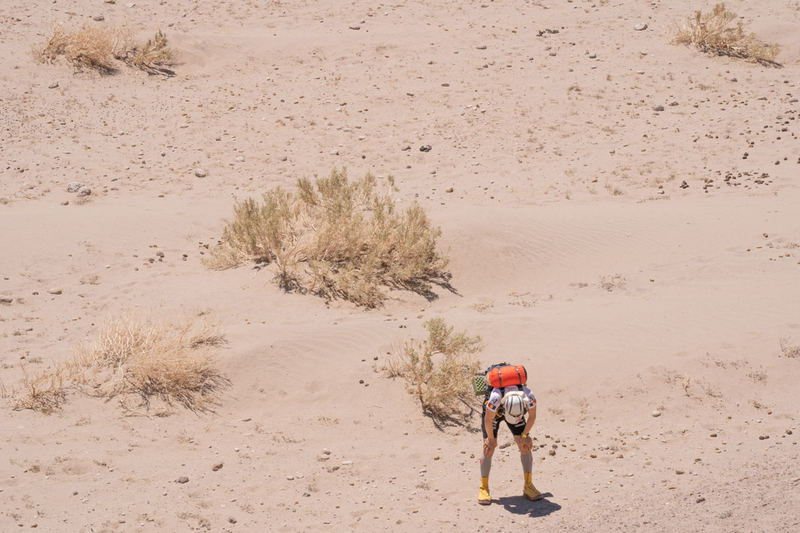 Problems started after km 40: nausea (I also puked twice), dizziness and – something new for me – hallucinations. It was lunch time and I don’t have enough words to describe how hot and dry everything was. At some point I heard somebody next to me and I looked back in awe, as I just checked before and no one was coming. It was my dad, whom I lost when I was 14, and who told me he was proud of me and I’ll complete the race. I freaked out when I realized what was going on, I stopped, I rubbed my eyes and I kept going, feeling worse and worse. 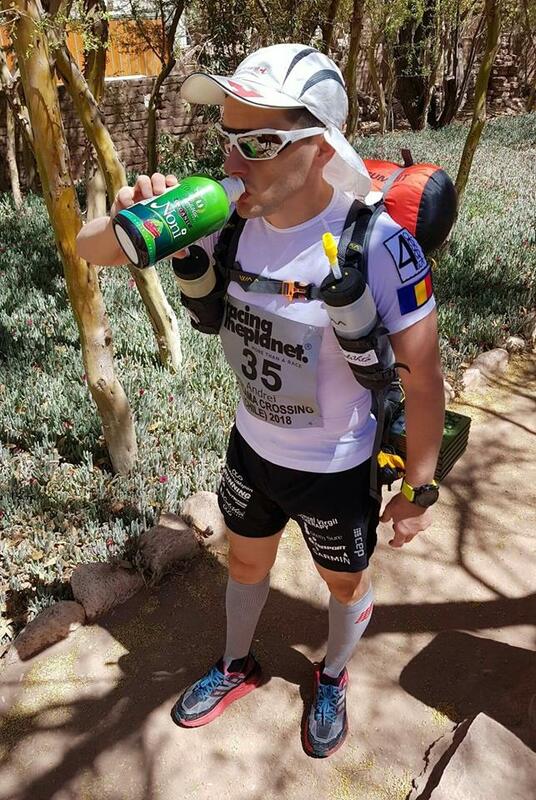 When I reached CP4 I was more dead than alive, but there awaited a can of Coke for each of us, and that instantly raised my energy level. It is the only thing that can raise you up in situations like this. It’s a shame it only lasted for 5 kilometers. At CP5 I was given a nausea pill, which also worked for about 4 kilometers. After which, I puked whatever I ate. All I could take in was water and some glucose pills. Despite each runner being allowed a single can of coke, at CP6 they probably got scared of my appearance and they gave me one more. This one lasted more and this was the moment when the sun started to go down and it didn’t burn that much. We entered an extremely beautiful area, the “Valley of the Moon”, with lunar like landscapes. Here I started to catch up runners who overtaken me before. They were also beat. We were greeting each other in an automated fashion, as it was clear we were each fighting our own demons. On the last 5 kilometers, with a strong front wind and on sandy inclined terrain, I pushed myself as much as I could and finished on 7th! I’m extremely happy but I also realize I was dumb. I could have ended in a very bad spot today. I’m glad it all came to an end ok. Tomorrow’s the break day and then 13 more kilometers towards San Pedro streets, where the finish line awaits, on Saturday. Kisses, I go to bed, I’m dead meat. In two hours we will start in our last stage, 13 km to San Pedro’s central square. I also saw the general table, the 9th place is mine! I’m very happy for managing to score in top 10 in a race that didn’t start very well for me, not to mention it follows a 9th place I got in the Iceland race not even one month ago. I was running the last kilometers on those dusty alleys and I was being shrouded in that feeling of achievement one gets when managing to pull off something that seemed almost impossible at some point. Emotion mixed with tiredness, happiness and fulfillment. That’s what I felt and this is what always makes me want to go on. I was one step away from quitting but I’m glad I didn’t, because I know it would have haunted me my whole life. 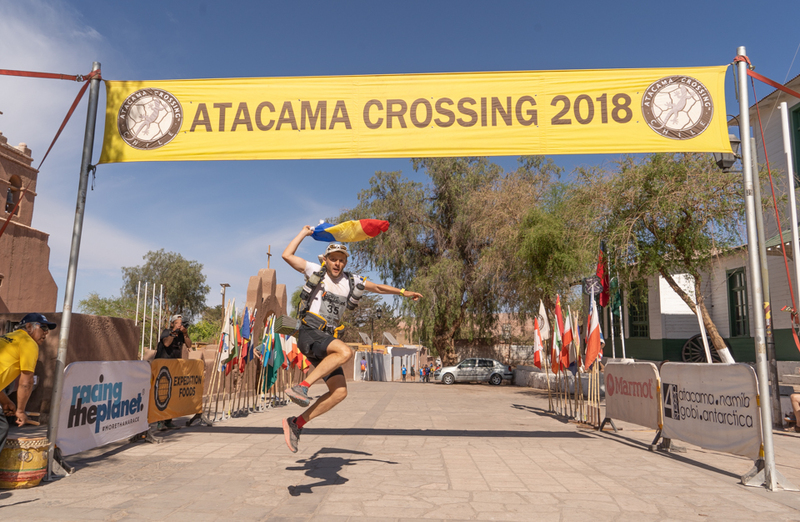 Atacama Crossing was one of the most difficult multi stage races I ever did so far but also one of the most spectacular. Chile is a fascinating country from day one and represents a story one feels the need to be part of. 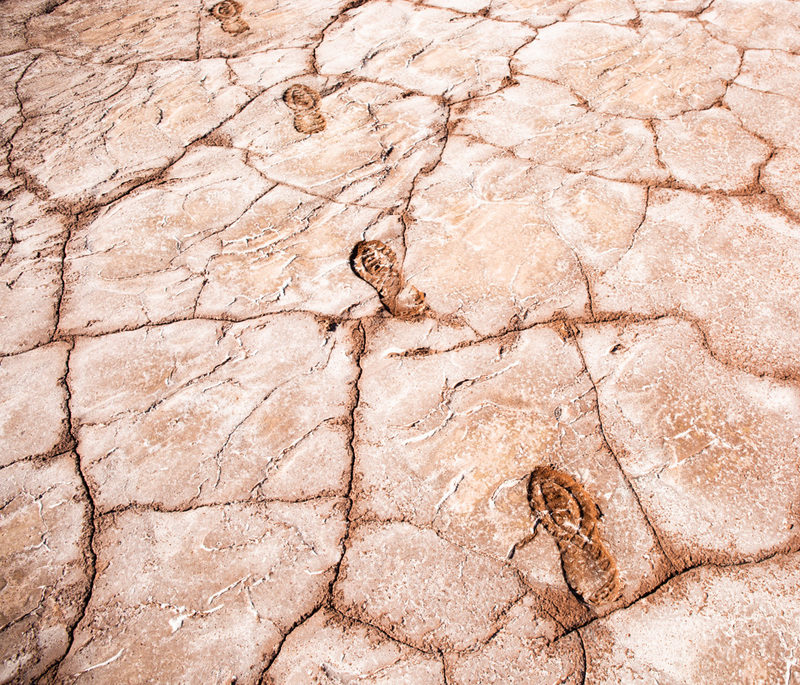 There were over 250.000 steps I took in the desert, there were wonderful people and sensational places, and there were pleasant or less pleasant experiences which I treasure both as ones I learned from a lot. And all these build you up, they all add another brick at what you are as a human being and – last but not least – reward you with lifetime memories. 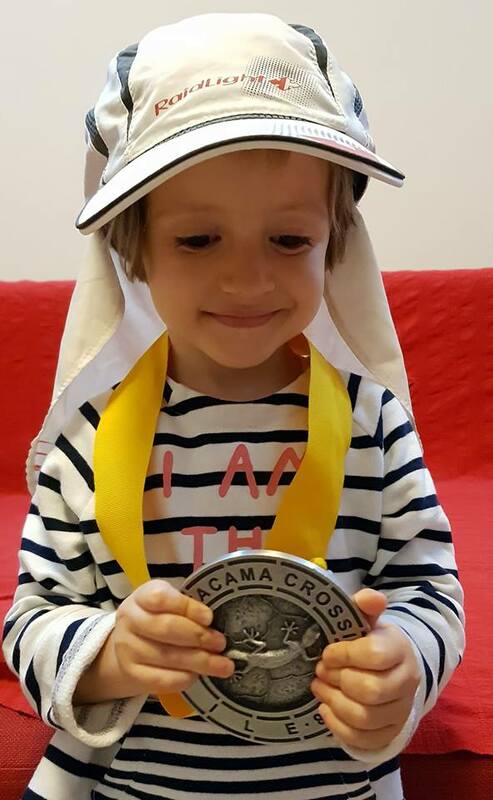 This race, as all the others in CaliVita 7 Deserts circuit, would not have been possible without certain people who believed in my madness and joined in a story which I hope is both beautiful and inspiring. And for this I want to thank them from the bottom of my heart.